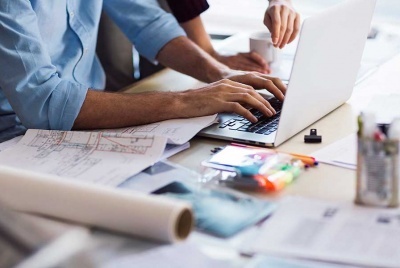 Careful attention to detail, sourcing local materials, carrying out any work you can on a DIY basis and keeping one eye on the costs can all help to bring your extension project in on a tight budget. If you are in need of some extension inspiration, take a look at this selection of projects that have all been achieved within a £50,000 budget. Looking to add a new kitchen diner to their farmhouse in north Wales, the homeowners of this project chose Welsh Oak Frame to design and build their new addition as they felt that exposed oak would be in keeping with the style of the original farmhouse and would add character and warmth to the new space. 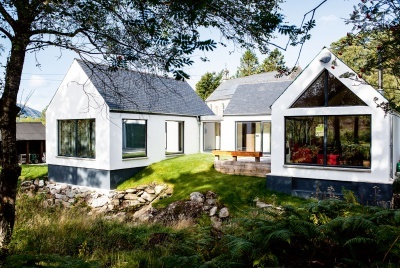 This cottage on the Scottish Borders has been subject to a large extension constructed using insulating concrete formwork (ICF) from Beco Wallform. 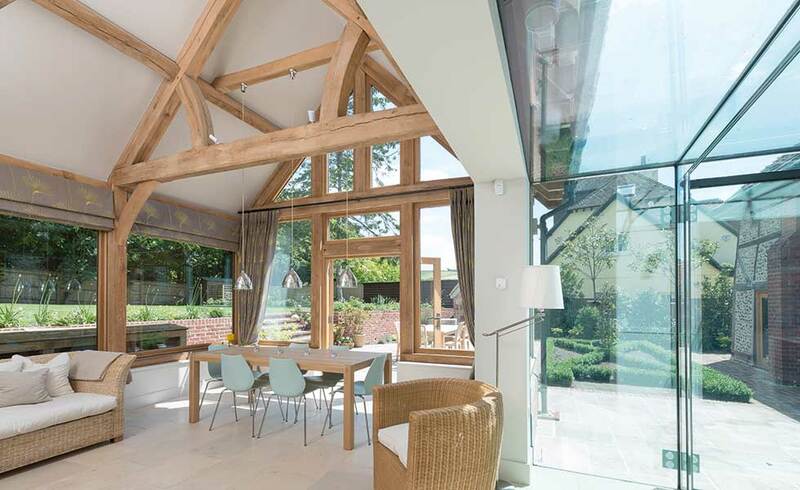 Completed by Border Oak, this oak and glass single room extension has been added to a listed Arts and Crafts house, and joined with a modern frameless glass connection so that the two parts can be easily distinguished. The owners of this period home wanted to introduce more space, and commissioned Anglian Home Improvements to add an orangery extension. With a view to creating a more traditional space in keeping with the existing building, the clients behind this project were keen to knock down the old side extension to make way for a new addition. The extension, designed by Design Squared, is clad in white render, and houses an open plan kitchen/dining/living area that is connected to the rear reception room. The challenge for Samantha Worrall and Philip Osborne was how they could create more space for their growing family within their 1930s semi-detached home on a limited budget. The owners of this stone-clad home in Frome, Somerset were looking to create additional space off their existing kitchen. The couple opted for a lean-to conservatory filled with natural light. Enlisting the services of David Salisbury, the design team at the company created a simple but effective design to perfectly fit the bill, complete with two skylights and top-hung windows for ventilation. 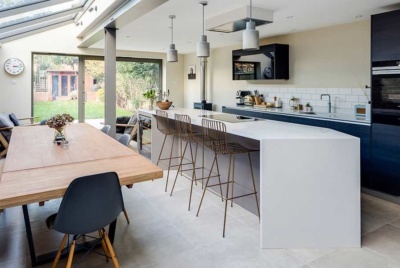 After previously carrying out a garage conversion to this 1970s semi-detached home, Eclipse Property Solutions was enlisted once again by the homeowners to build a new kitchen/dining/family space to the rear. With a growing family, the owners of this three bedroom detached house in Staffordshire were becoming increasingly constrained by the property’s size. 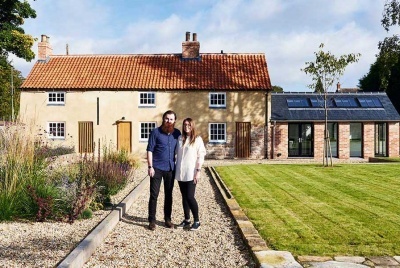 Reluctant to move out of the area, the homeowners appointed Croft Architecture to come up with a design concept that would see their old, cold, leaking conservatory replaced with a modern, light-filled, open plan extension. When the homeowners bought this semi-detached home in London, they knew immediately they wanted to create a new extension to the rear of the property. A new 8m x 5m flat roof extension was built and clad in London Stock bricks to match the existing brickwork, with reclaimed bricks, also London Stock, used internally as a feature wall. A bank of rooflights brings natural daylight into the new space. Looking to work out the build costs of your extension? Find out how much yours could cost with our extension cost calculator.